If like me you have been an avid viewer of the Commonwealth Games in the past couple of weeks you would have seen and heard a lot about how inclusive the Games have been with a numerous “para” sports being included alongside the able-bodied versions. The format started me to thinking what does inclusion look like in the wider community and was the inclusion at the games only lip service to how the wider community looks at people with disabilities. Is the general public embracing inclusion? Or is it just a bit of a fad? Now, don’t get me wrong I’m a huge fan of inclusion, including reverse inclusion where people with disabilities invite “able-bodied” athletes to compete in “disabled” sports, as they do. Examples of this include wheelchair basketball where able-bodied people are invited to get into a sports wheelchair (check out Suncoast Spinners Wheelchair Basketball Reverse Inclusions Program)and compete on a more even playing field, or athletes like our own Melissa Tapper who competes in both competitions (para & able-bodied) in the table tennis. Yet it started me thinking about the other sports that were barely mentioned during the games – unless you have the app and even then you had to be on your game! 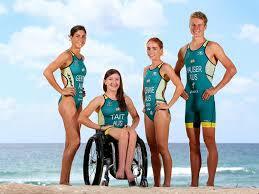 Part of the Australian Triathlon team were Ashley Gently, Sara Tait, Charolette McShane & Matt Hauser. Gold Coast Bulletin. It was great to see our para-athletes alongside some of the major sports, and other smaller recognised sports in this country. 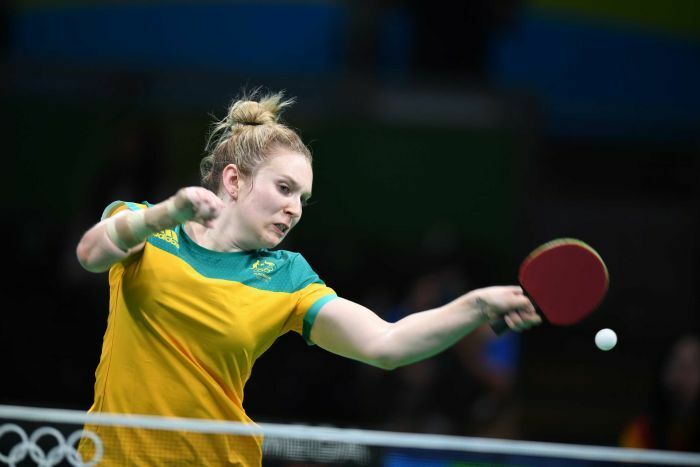 But, how interesting that every time the commentators weren’t inspired by the sport, the sport was delegated to another channel or only mentioned briefly – especially if Australia didn’t look like getting a medal in that sport! Although I’m not particularly interested in wrestling, boxing, or squash I would have enjoyed seeing a little more of these events, as I would have a more comprehensive inclusion of para sports and perhaps also including the special Olympic athletes. Surely, they should be included in the TV programming as equally as the swimming or athletics. Has the sporting public missed out on numerous amazing, inspiring stories about the hard-working athletes of these disciplines? I would say yes. Yes, like people living everyday with disabilities, these athletes have not seen full inclusion. At best they have received lip service at the games and many other arenas that are not main stream are receiving the same. So, what in reality is inclusion? And how do we ensure everyone has the chance to be included? According to the Oxford Dictionary- Inclusion -noun – The action or state of including or being included within a group or structure. Keeping this in mind society in general needs to be including ALL in their actions, thoughts and deeds, regardless of ability, faith, gender type, personality, country of origin, or economic circumstance. We need education to help everyone realise that there is only one human race, and we are all a part of it. Yes, some of us may not be “normal”, but what is normal? And who is to say that my normal is wrong when compared to yours? Everyone’s normal is different and that’s not a bad thing. It’s that normalness that makes us humans and why we should all be included.